Welcome to HTC Sunday School! You can view our specific 2018-2019 Goals and Initiatives by clicking here. The supervisor of Church School is Mark Winowich. He can be contacted at mlwinowich@msn.com. Teachers for the new school year will be updated soon. Church School began for the 2018-2019 school year on Sunday, September 16. To register, all families must complete a registration form and return it to church to the attention of Mark Winowich or Rudley Mrvos. Or you can email it to them to their respective email addresses - mlwinowich@msn.com or rudleymrvos@gmail.com. It's never too late to register! Click here to view the Church School calendar for 2018-2019. 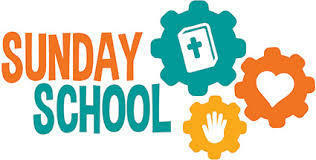 Please note those Sundays when there will be no church school. Click here to download and print the Church School Registration Form. Clilck here for the 2018-19 Church School Guidelines.